The bathroom is the most important part of the house. It’s a personal space where you want to spend your own time relaxing and grooming yourself. It’s no wonder that people are always looking for ideas for creating their dream bathroom space. Whether it’s building a whole new bathroom or updating the existing one, you will need to plan and weigh your options before getting into it. Renovating your bathroom can very rewarding. You will be increasing the efficiency and functionality of your bathroom as well as make it more impressive for the guests. 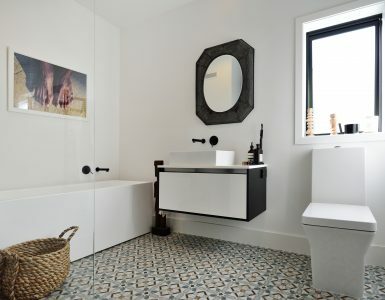 In this article, we will be telling about the best and the most practical bathroom renovation tips for your dream space. Bathroom renovation is like any other home renovation and will cost you money. So, it’s important to take care of a few things before you start renovating your bathroom. Make a Plan – Stay on top of things by making a clear plan on how you are going to renovate your bathroom. This will include deciding the kind of look you want to go for. Budget – It is a very important consideration. Thankfully, with today’s available options you don’t have to compromise on quality or aesthetic appeal just because you are on a budget. DIY or Professional – Professional renovators no doubt will do the perfect job. But, DIYs are fun too and if you know how to use the tools then you can create your dream bathroom on your own. Decide what you want. An ideal bathroom will always be spacious or organized -whatever you want to call it. Maximize the space with shelves and cabinets and keep the floor of the bathroom clear. The walls are one of the best ways to keep your bathroom more organized y installing shelves and cabinet. Increasing the storage capacity of your bathroom without making it look too constrained increases the efficiency of the space without hurting the aesthetic appeal of the bathroom space. Like the other rooms in the house, your bathroom too needs to look relaxing and appealing. There are many ways you can enhance the visual appeal of your bathroom. Colors – Choose warm or bold colors to create a different style or theme. Your bathroom doesn’t need to be all white all time. Textured look – Using textures or wallpapers that give overlapping look really makes for a perfect bathroom look. Mirrors are one of the amazing bathroom accessories you need to invest in. They can immediately uplift the look of the bathroom. There are so many different types of mirrors available. You can choose from floor mirror or wall mirrors with stylish frames or install one large wall mirror to cover one side of the wall. You can use your own idea or creativity when you are renovating your bathroom with mirrors. Sinks are one of the classiest ways to brighten up the bathroom space. They are not just functional they can add a touch of glamour to your fabulous bathroom. Choosing the right sink style is very important. Integrated bathroom sinks where there is one piece of sink with a vanity counter is the most efficient type of sink style you can go for. It makes cleaning the counter and the sink easy. If you are looking for the more economical option then self-trimming bathroom sinks are the great option. The disadvantage is that the perimeter of the sink lip can collect grime and you will need to clean it regularly. Choosing the right lighting in the bathroom is very important especially if you use the mirrors in the bathroom. Ideally, placing two wall mount lighting systems like sconce on either side of the mirror will make it easier to use the mirror without worrying about shadows. Likewise, choose the spot for installing lights that will keep the whole space well illuminated. If there is one item in the bathroom that can beat every other accessory then it’s the bathtub. If you are looking for a minimalistic yet stylish look then adding a trendy bathtub can help you create a focal point. The trick is to choose a bathtub that is appropriate for your bathroom space. It should fit in quite nicely without eating up the entire space. The next thing is to choose a style of tub. Jacuzzi style bathtubs are the timeless option. You can easily make the impression you want to make with just one piece of bathroom accessory. These are some of the easiest and non-risky bathroom renovation tips for your dream space. Even on a small budget, you can create the most stunning bathroom you always wanted. We are a leading home improvement blog helping home owners build a great dwelling place to live in. How To Save When Remodelling Your Kitchen? How to Design a Classic Kitchen?